Google cloud has various services , one thing I was quite happy about it is that you can easily scale the services without paying much through the nose. In the typical world, Ubuntu Server 16.04LTS installation takes about 35-70mins, depending on your internet connection but with the rapid deployment, it takes a few mins. Typically, what you will need is Google Cloud Compute account which everyone is given $300 to try out, so you are never out of pocket. Some sites and even if you are an incubator, they give out $10,000 in credits... all the better. Setup your account. You will need a debit or credit card to verify your identification. Once that set up, go and check your quota limits. It's under Compute Engine > Quota Tab. Note the CPU Limit per Region. Now, create a Ubuntu Linux Engine, using the Max CPU Allowed (customise) and less RAM. Usually for a full account is 24vCPU per region. 50GB HDD will do fine. Once it is setup , you are almost done. 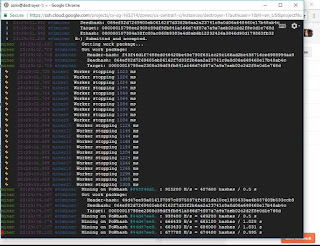 Follow my instructions on how to install the Eth Coin wallet and miner. 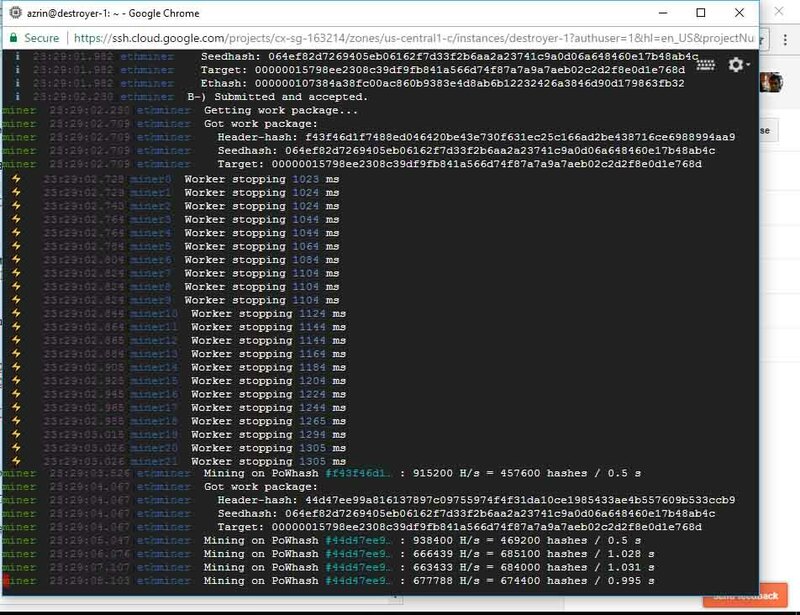 I will strongly suggest you install GETH in your LOCAL PC as that is the wallet you will need to mine your coins to. If you are too darn lazy.. copy these instructions (cut and paste works) into your SSH terminal. once it's all done, you are good! When it's all done.. go to EthereumPool.co to check on your miner. The miner address is the address you specified. All Good? DO NOT CLOSE THE WINDOW. now... U need to make a clone of the disks to make the ultimate array.